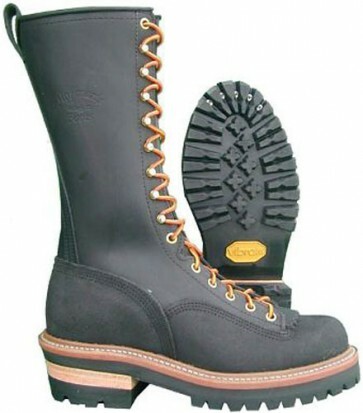 Built especially for climbing, the men's Hoffman Pole Climber steel toe boot features a double layer of 7-8 oz. oil-tanned leather which covers the entire foot area to insure strength and protection to the vamp area. Linemen will like the unique dual steel shank system that provides unheard of arch support and the comfort need on the job. Solid brass hooks and eyelets, a durable waterproof heel counter and triple stitched uppers make this boot a popular choice among linemen. A removable contour cushion insole is added to provide extra comfort and support to every step. Vibram soles.